If you are visiting or thinking to go to Thailand you definitely has to stop in Bangkok. This City is also known as The City of Angels which offers to their visitors landscapes and places as exotic as varied between them. There are basically 4 different ways to travel and get to know all of the place: taxis, Skytrain, Metro and tuktuk. For making it easier for you, below there is an activity plan for three days trip that you can follow to walk, visit and enjoy Bangkok, a city you will never forget. 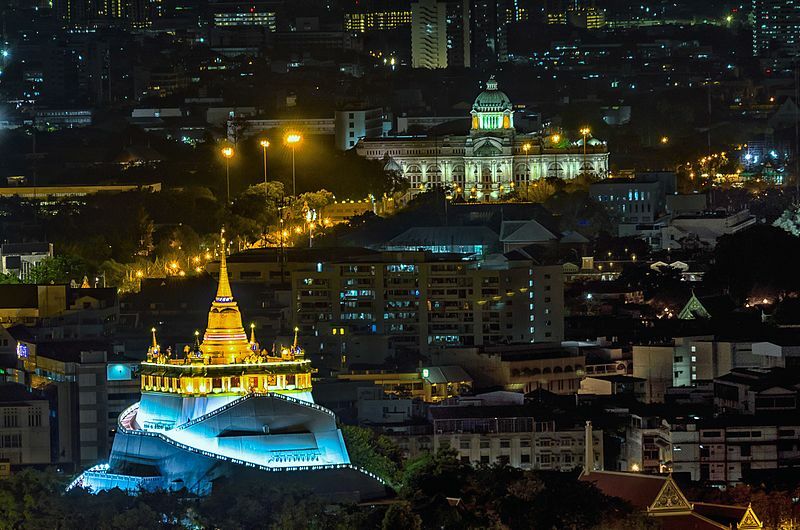 The Big City offers you for starting to visit the Grand Palace, complex of buildings which was the official residence of the King of Siam for more than two centuries. To continued discovering more about the culture, most of the visitors let themselves be caught by the spiritual atmosphere of the Temples like Temple of the Emerald Buddha, Wat Phra Kaew and the Temple of the Reclining Buddha, Wat Phra Chetuphon. You can find them by walking outside around the Grand Palace. Then, you can go either by metro or walking to Sanam Luang, is a big public park where important events such a royal functions and ceremonies are celebrated. And to finish the day on a high let visit Khao San Road, open place with many bars, restaurants and nightlife to experience at least once. The National Park of Ayutthaya is located in the province of Phra Nakhon Si Ayutthaya about 80 Km North of Bangkok. Ayutthaya was the capital of the Kingdom of Siam for more than 400 years. The ruins of this place make it one of the most special and beautiful park of Thailand to visit. Actually, for most of the tourist people, Ayutthaya should be an obligatory stop for everyone who travel and look for a real deep connection with the cultural roots of the Country. To make it even more special, you always can visit it through the river Chao Praya by boat. That experience offers you the possibility to see all the colorful markets and temples on the way to and back. Keep in your mind that to really get to know the Park you probably will need at least 9 hours, so, really do not lose this unique opportunity and connect with this World as you only can do it in there. After two beautiful days connecting with the culture of the city, what about the day-night wildlife that make Bangkok one of the most popular cities in Asia? Down below you can find a complete plan to enjoy of the wildest activities and adventures that Bangkok offers to you during the day and night. Let’s start visiting The National Park of Khao Yai where you can experience a real contact with all kind of exotic animals.Khao Yai is pure nature. This World Heritage hides hundreds of different species of birds and more than forty mammals like elephants, tigers, monkeys, beards, and so on. It is actually a real jungle to get lost but do not worry about it, the park has many professionals to guide you through this amazing world. So, feel welcome to experience this adventure with your loved ones. Calypso’s Cabaret Bangkok where you can find the most spectacular show of lady-boys to live. Calypso’s female performers are transgender people, born as boys to live as the woman they are. Transgender shows in general impress with look-alike performances, personnel lavishly decked with costumes, feathers and sequins. Passionately fighting prejudices with that purebred CALYPSO-mantra of quality: class, style and taste. In Calypso Cabaret you also can find a Thai Restaurant where you can taste the most spicy dishes that this exotic culture offer to all the visitors. Come and enjoy Thai Dance Performance and Thai Set Dinner at Calypso Thai Restaurant! Popular tourist attraction and a food haven for new generation gourmands who flock here after sunset to explore the vibrant street-side. In the great lung of the city. Beautiful park to enjoy jogging, Thai Chi, share with the local people and also see giant lizards completely harmless. Route through northern Thailand, visiting the imperial cities and villages of the Golden Triangle. Floating market that is located in the region neighboring Bangkok, in Ratchaburi. It's so pretty that it's worth it to include it in the trip!